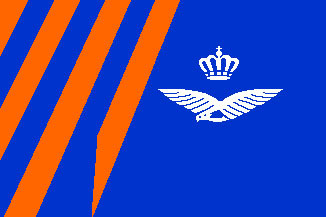 The armed forces of the Kingdom of the Netherlands ("lower lands") consists of three arms: the Royal Air Force (Koninklijke Luchtmacht - KLu), the Royal Army (Koninklijke Landmacht - KL) and the Navy (Koninklijke Marine - KM). 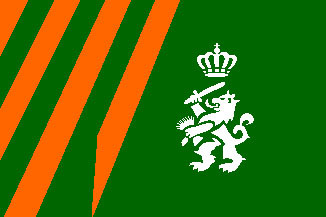 The Royal Marine Corps (Korps Mariniers) is operatively subordinated to the Netherland's Navy. 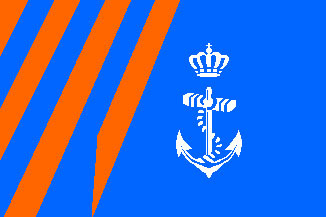 In addition, under the auspices of the Netherlands Navy there are the Royal Military Police (Koninklijke Marechaussee - KMar) and a small contingent of recruited troops in the Caribbean: Aruba (Arumil) and Curacao (Antmil). 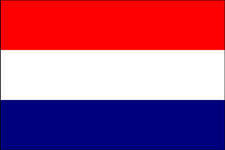 The Netherlands Antilles (Nederlandse Antillen) are in the Caribbean region. Since December 15th, 1954, this territory is self-governing, and on October 10, 2010 the Netherlands Antilles actually moved from state entities, which were a part of the Netherlands and became the separate self-governing territories of the Kingdom. 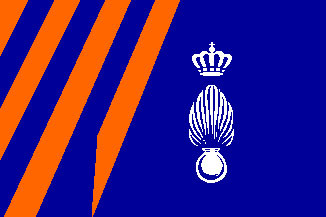 Since the 1990s, the Dutch troops took part in the four major military campaigns in: Bosnia, Kosovo, Iraq and Afghanistan (Uruzgan Province). Currently, the Minister of Defence of the Netherlands is female, her name is Jeanine Hennis-Plasschaert. 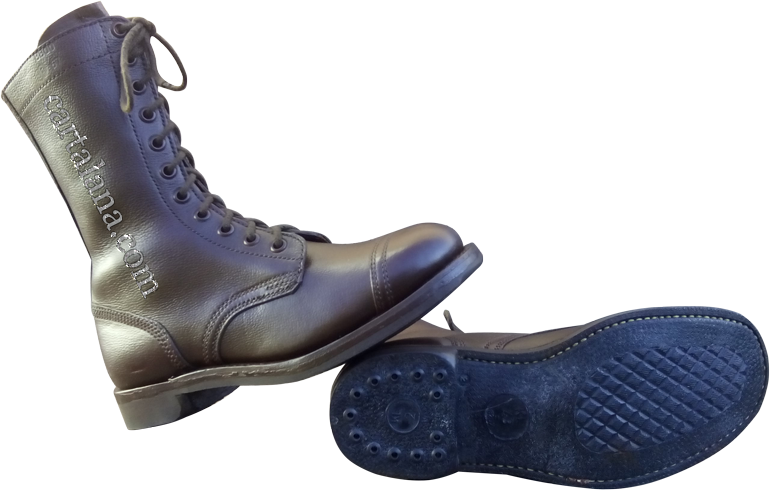 In the late 1950s, the armed forces of the Netherlands began to use brown military boots of the models M/57. In fact, these boots were just a simplified version of the American "jump boots" of the 1940s. At first, they were provided to the paratrooper units, then - to the rest of the army, as well as it used to be in the United States. The "jump boots" represent by themselves the high-lacing rubber-soled leather boots, intended to provide extra ankle support when landing by parachute. 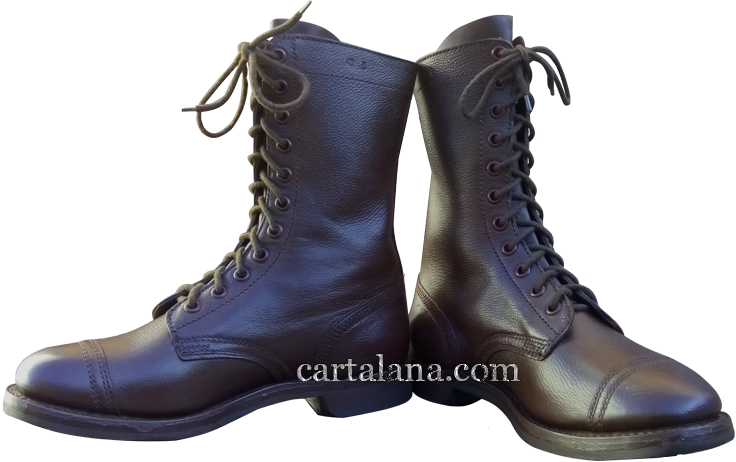 Such boots were issued to the paratroopers since the August 3, 1942, when the final model was approved by the specification of Boston Quartermaster Depot (BQD No. 58D). Although jump boots were to be replaced by the new type combat boots, they still continued to be worn throughout the war and even nowadays. 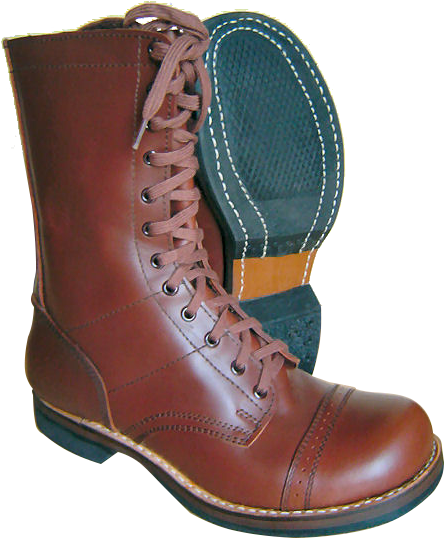 The first American "jump boots" were designed in 1941 by William P. Yarborough, and got the nickname "Corcorans" by the name of Corcoran®/Matterhorn® Company, a division of Cove Boot Company, located in Martinsburg-city, Pennsylvania. 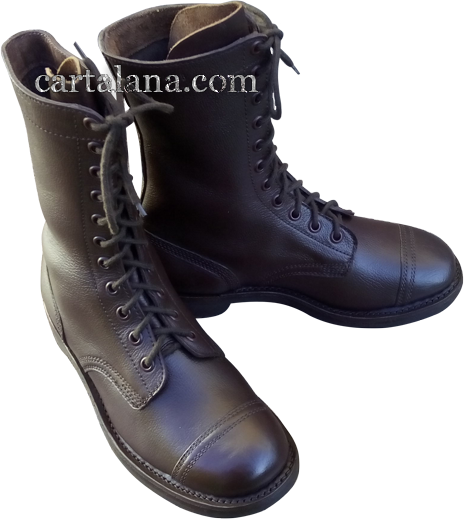 This Compamy was the first US Department of Defense contractor to manufacture these boots.